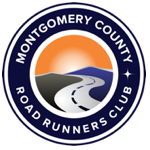 All of our activities do not materialize out of thin air—MCRRC is a club totally dependent on the generosity of its volunteers. Volunteering is an excellent way to get acquainted with your fellow club members and can be very rewarding. Plus, by volunteering for 5 races or 20 hours (or by donating $100 to the club) you can have a personalized race bib for the entire next year. The Personalized Bib form has more information. There are many opportunities to volunteer at races and other activities. We can use your assistance at both low key and major races and we need help at every level – from race directors to race workers to behind-the-scenes helpers. If you run our club races, please consider giving something back to the club by volunteering for at least one race per year. If you can volunteer, please fill out the Volunteer Form below. Information and advice for parents interested in learning about SSL credit for students volunteering for MCRRC is available on our SSL – Student Service Learning page.